If yo u look closely at the FEW logo, you’ll notice that each letter is separated by a period. There’s a reason for this. The company is named after Frances Elizabeth Willard who lived in the distilleries’ hometown of Evanston, Illinois. If you’re thinking that she was a women distiller, you’d be completely mistaken. In fact, she was the head of the WCTU, or Women’s Christian Temperance Union. This organization was one of the leading groups that eventually lead to the 18th amendment to the US constitution, i.e. – prohibition. 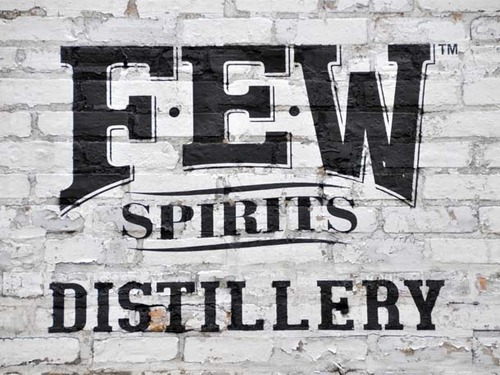 Today, a local elementary school is named after Ms. Willard, but according to the distillery’s founder Paul Hletko, he chose the name FEW because they focus on just a handful of spirits. That may be so, but as you can see below, they have a healthy range of whiskies and gins available along with a grappa and a white dog which we were not sent samples for review. This entry was posted in Spirits & Liqueurs and tagged Few American Gin, Few Barrel-Aged Gin, Few Bourbon, Few Rye, Few Single Malt, Few Spirits, Few Standard Issue Gin. Bookmark the permalink.